I've had a great morning because I've had time to make a card! I thought I would have a go at the latest colourQ challenge, they are always fun to do. I hope you like it. 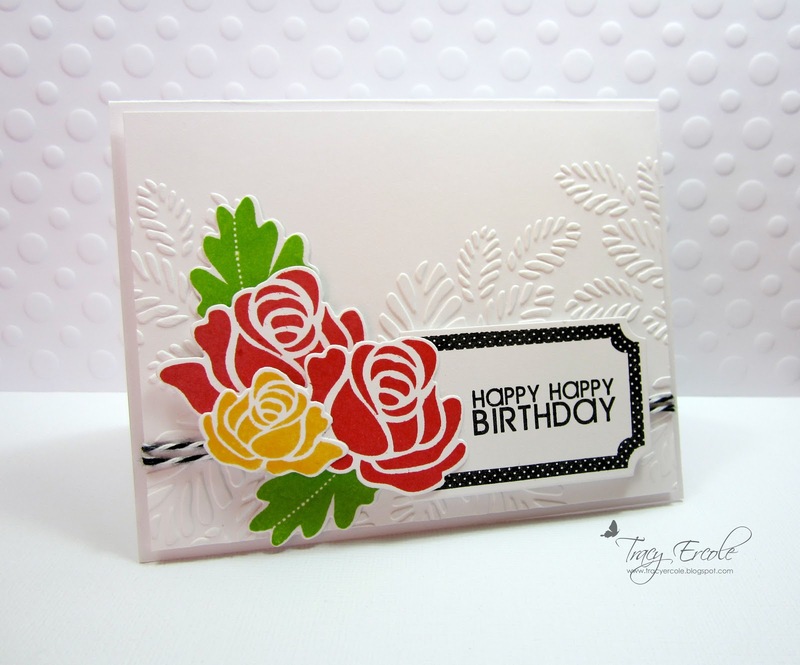 Beautiful card, Tracy, love the embossed background! Thanks for joining us this week at the ColourQ and sharing your card..
Wow! This just stood out in the entries! So pretty! Amazing.... a really beautiful card! Lovely! One of my favorite PTI sets. Great layout and I love the embossed background. Thank you for joining us at the ColourQ this week. So, so inspiring!! I just love how you did this card! 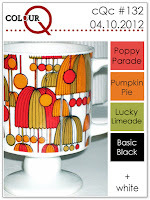 Congrats on your Courtier shout-out at ColourQ!